This beautiful facility provides care for senior citizens with a special focus on those who are memory impaired. 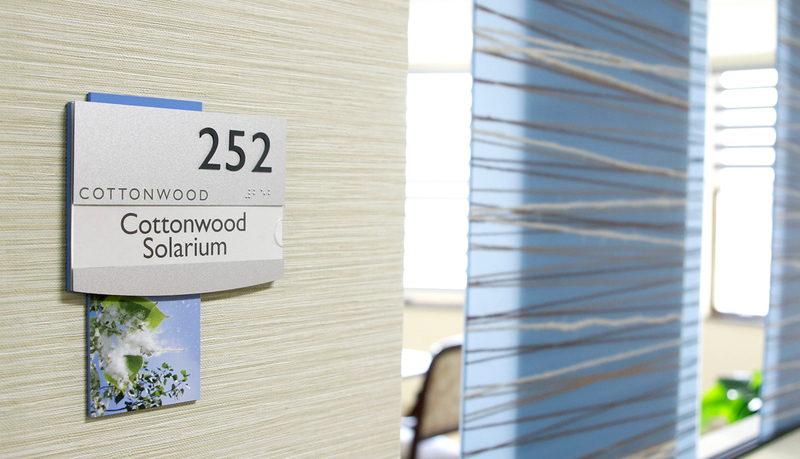 Both short-term rehabilitation patients and long-term care residents can enjoy a completely new environment and greater privacy with the benefits of state-of-the-art technology. 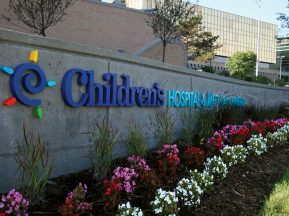 Developing a ground-up wayfinding solution, custom donor recognition pieces and custom signage was the original goal of this project. 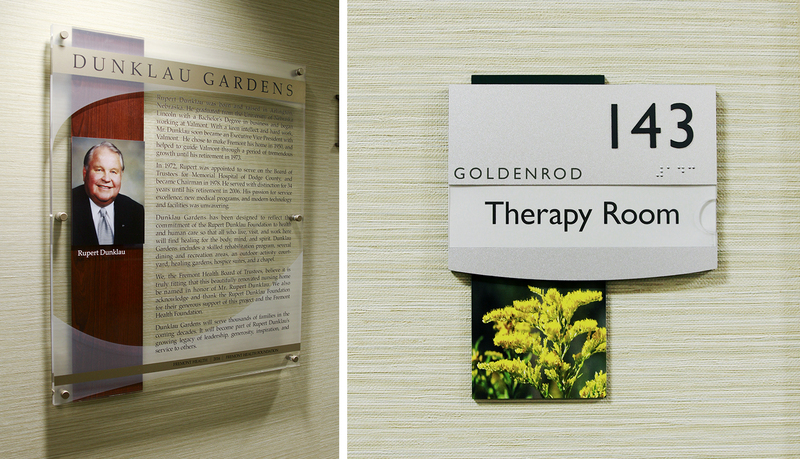 Additionally, ASI was tasked with developing a unique brand identity for Fremont Heath Dunklau Gardens. 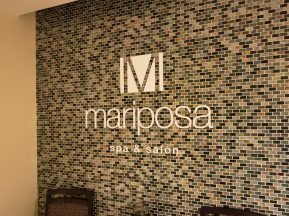 With the end goal of reducing anxiety for the residents it was important to remember throughout the project to create an an environment that minimized stress. Residents who are older, or possibly memory impaired, are often confused by unpredictable and unrecognizable environments, it was essential to create spaces that people could confidently navigate independently with a sense of home and belonging. 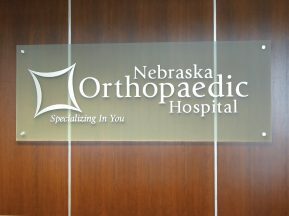 As this was a multi-phased project, it required a signage program that was flexible enough to adapt as residents were moved around as each wing was complete. Signs had to be fabricated and installed in a very timely manner so that residents always had a sign to identify their unit and wayfinding to confidently navigate their home. 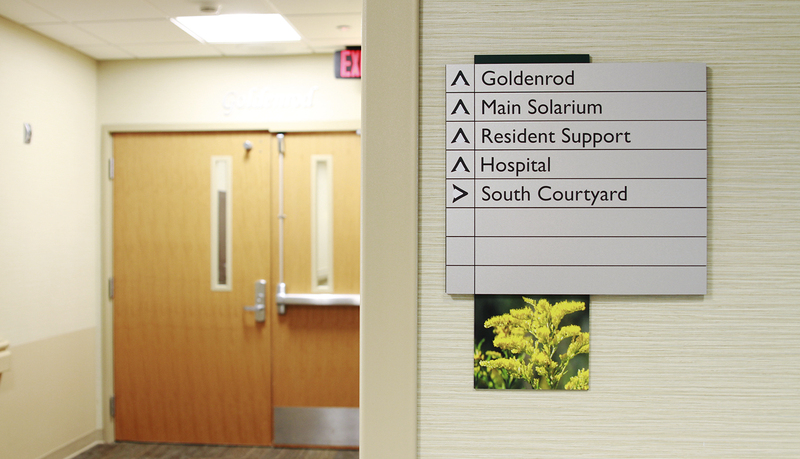 The primary goal of the wayfinding sign plan was being sure the wayfinding was clear, predictable, and simple. It was important to not over-sign this facility and to understand what would help residents with memory impairment stay relaxed and engaged. To do that signs were placed in very obvious locations where navigational reinforcement was needed and messages were kept very simple. With this custom look, our client achieved the goal of creating a sense of home/belonging. 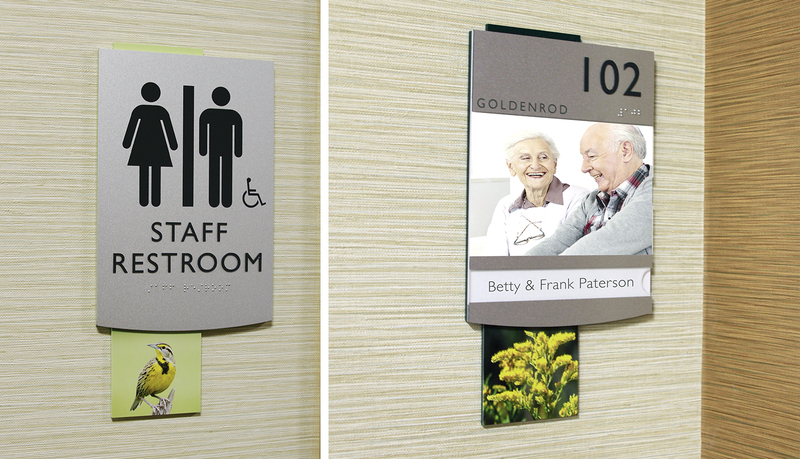 The ASI Intouch window signs allow the resident to slide a photo of themselves into their sign, making their room more easily identifiable. 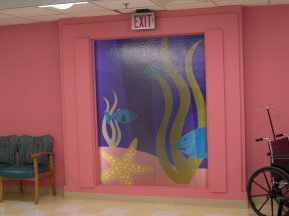 The unique themes were created using Direct Digital Printed imagery as accents that further help residents know which wing they are in. Signs within common public space have a neutral look that ties in with the other signage. 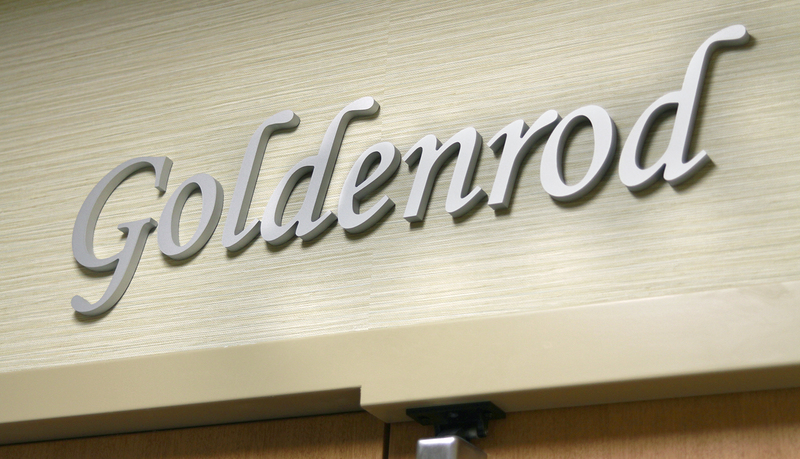 This neutral look carries through to the donor signage and acrylic dimensional letters labeling each wing entrance. 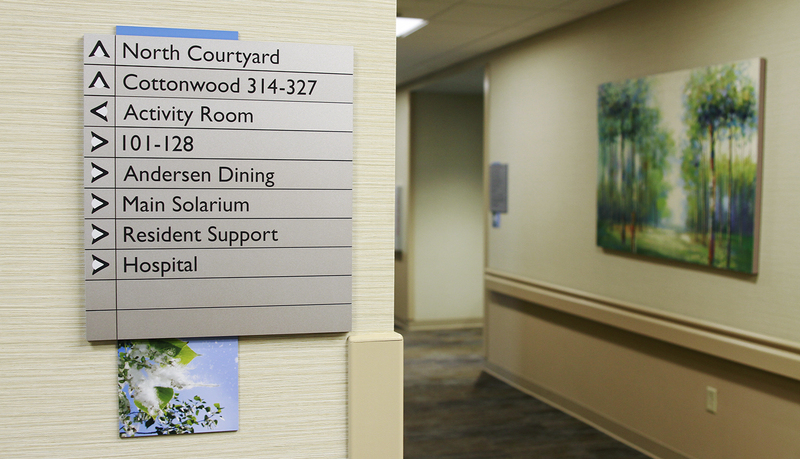 Overall, the signage feels like a family yet remains predictable for the residents within the facility.